Here are this year’s Class 3-A All-State selections. Player of the Year voting is down below (only one vote per hour), there are 5 players nominated and voting ends on Thursday night at 10 pm. View more All-State teams by clicking HERE. Share your thoughts, leave a comment at the bottom of the page! 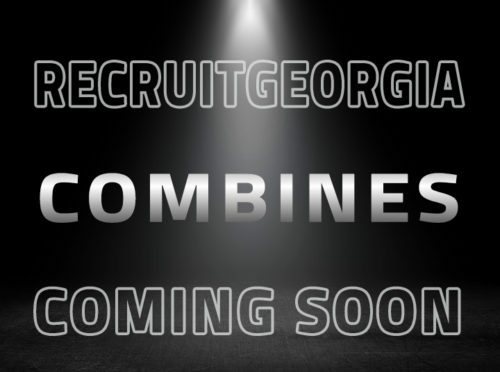 RB – Kris Coleman, Liberty Co.
RB – John Jones, Pierce Co.
OL – Jake Patterson, Pike Co.
OL – Avery Jernigan Pierce Co.
OL – Terrence Ferguson, Peach Co.
ATH – Treylon Sheppard, Haralson Co.
DL – Kaimon Rucker, Hart Co.
DL – Jamir Best, Peach Co.
DL – Zac Baloga, Dawson Co.
LB – Sergio Allen, Peach Co.
LB – Markel Johnson, Liberty Co.
DB – Logan Barnes, Dawson Co.
Chandler Byron had himself a special season rushing for 2795 yards, 10.4 yards per carry while also throwing for 1332 passing yards at a 64%. The Monroe Area quarterback has been a revelation in 3-A the last two seasons, averaging 317.5 yards per game as a senior. He finished with a grand total of 55 touchdowns on the year. Leading his team to a top 5 finish in the regular season, Byron’s play was instrumental to one of the great seasons in school history, as the Hurricanes went on to beat several top 10 teams throughout the year. Liberty County back Kris Coleman eclipsed 2000 total yards this season. The senior averaged 150 yards per game, and had a grand total of 1809 rushing yards and 24 touchdowns. The speedy slot back finished his career with 4500 rushing yards and 48 touchdowns. When John Jones out of Pierce Co. sees a hole, he accelerates through it like his hair is on fire. With 1745 yards rushing, and 25 touchdowns – Jones was one of the absolute best in 3-A rushing the football and was the offensive force leading his team to the 3-A semifinals. Jones finished the year off with 25 touchdowns and averaged 134.2 yards per game. The Cedar Grove Saints were marching this year with one blowout after another, and still Robert ‘Pop’ Jones managed to get 1182 yards on the season, averaging right at 11.3 yards a pop. The senior had big games against McEachern, Summerville (SC) and several large in-region games where he kept the chains moving. GAC’s Ty James came into the year with a lot to prove after being snubbed by most colleges in the offseason. The senior was quick to prove man wrong, and was one of the best in 3-A. Leading his classification with 1145 receiving yards and 90.7 yards per game average, the senior was one of the most consistent aerial weapons in Georgia. James ended the year with 13 touchdowns and averaged 23.4 yards per catch. He has new offers from Lehigh, Fordham, Yale, Columbia, Cornell, and Penn. Cedar Groves’ dynamic all-everything athlete Jadon Haselwood finished off the year with 1132 receiving yards, a 19.4 yard per catch average and 11 touchdowns on 53 catches. Widely considered the state’s top recruit, Haselwood made possibly the play of the year with just 4 seconds left in the state championship with a touchdown catch over the middle against Peach County. Rico Powers is an explosive slotback from Benedictine who can create something out of nothing. Powers rushed right at 1000 yards on the year and 17 touchdowns, while also hauling 561 yards receiving and 6 scores on the air. The junior finished the year with about 1700 all-purpose yards and 23 touchdowns. Nick Jackson out of Lovett had one of the more complete season of any player in 3-A. Playing a true tight end position, Jackson had right under 500 yards receiving, putting him right at the top of 3-A. He also had 90 tackles on defense, and nearly 20 tackles for loss, making the Virginia commit one of the more dynamic two-way players in Georgia. North Murray’s Luke Griffin recovered 100% from his knee injury and looked like his usual self. The ‘North Georgia Mountain’ has been a fantastic two-way player since he first stepped on campus at North Murray, and will be heading to Mizzou next fall. Michael Brooks out of Cedar Grove has been getting varsity reps since his freshman year, and the senior finished off his career as a 2x champion. Brooks is a flexible player who bounced around the offensive line. Pike County made another big playoff push this year, and the one common trend I have seen the last few years, Jake Patterson mowing over defenders better than a John Deere. Patterson, who is an extremely underrated recruit, played with a huge heart this year after his teammate Dylan Thomas passed away halfway through the season. Charlotte commit JT Middleton is a beast blocking at the RT spot for Jefferson. The senior has good fundamentals, and is extremely quick coming out his stance just bulldozing the defense back. Avery Jernigan out of Pierce can flat out move, and it’s just a joy to watch the junior linemen make blocks 20-30 yards down field. A motor like Jernigan’s is special, and he will definitely be a sought out 2020 recruit. Peach County sophomore Terrance Ferguson is the real deal. Already showing outstanding footwork when pass blocking, the 2021 student-athlete is the cornerstone left tackle for the high-powered Peach County offense. Ferguson is a special talent at offensive tackle, so unbelievably skilled for a player his age. Treylon Sheppard out of Haralson County had one of the greatest rushing seasons in state history with 2934 yards, falling behind Daccus Turman and Herschel Walker. In 11 games, the senior average 266.72 yards rushing per game. Even with the entire defense keying on him in the 2nd half of the season, Sheppard managed to produce a regular season for the ages, finishing the first 10 games with an astonishing 2874 yards rushing. Westminster’s Charlie Ham has the strongest leg in 3-A knocking in several +50 yard fields goals this year. The golden legged senior is headed to Duke. Hart County junior defensive end Kaimon Rucker just lived in the enemies backfield. With 8 sacks, 19 tackles for loss and 37 quarterback pressures – there had to be a psychological impact for the opposing team’s quarterback. Rucker also created 4 turnovers on the year. Cedar Grove’s Dante Walker always produces and for the 3rd year in a row, the defensive lineman gets over 70 tackles. Walker had 10 sacks and 18 tackles for loss for the Saints. He will be suiting up for Arkansas in 2019. Peach County’s Jamir Best was a force all year with 80 tackles and 13 tackles for loss. His brute strength up front was on display in the state title, and held Cedar Grove to their worse offensive total/rushing attack all year long. Best is relentless in how he plays the game, always around the football. Christopher Hinton is quite possibly the best defensive player in the state of Georgia. The GAC senior defensive lineman is good getting off blocks, his ability to change directions at 6’4″ 280 lbs. is just special – think Bruce Smith or Reggie White. Dawson County’s Zac Baloga is a stat producing machine with 10 sacks and 21 tackles for loss on the year, ranking right at the tops in 3-A. His 27 quarterback hurries and 4 PBU’s creates problems for opposing passing attacks. Calhoun’s Davis Allen played great in 2018 with 119 tackles, 6 tackles for loss and a sack. The senior has an expert knowledge of the route tree with his offensive prowess at tight end, and managed to get 4 interceptions on defense, two of which he returned for a score. Allen will be playing football for Clemson next fall. Isaiah Ratcliff led Cedar Grove in tackles with a little over 100 and 2nd closest player was almost 20 tackles behind. The 2020 athlete is always around the football, constantly hunting down ball carriers from the backside, while he also created several turnovers. Sergio Allen is another Clemson commit making this All-State team. The Peach County junior took over as the lead linebacker this fall, and finished the year with 122 tackles, 11 tackles for loss, 6 sacks and 17 QB hurries. Markel Johnson from Liberty County is not the biggest guy, but his defensive numbers are gigantic. With 150 tackles, and a classification leading 101 solos; Johnson is a linebacker who is great in the open field. He also had 11 tackles for loss and 5 sacks to boot. Kalen DeLoach from Islands ended up with 156 tackles in 2018 putting him near the top in 3-A. With 2 interceptions, 13 tackles for loss and 7 sacks – DeLoach finds multiple ways to stuff the stat column. The Florida State commit is a special athlete who also rushed for 771 yards and combined for 19 touchdowns on the year. DeLoach is a national Butkus Award Finalist. Brannon Spector from Calhoun is going to, you guessed it, Clemson. The elite athlete is a two-way player for the Yellow Jackets, and on the defensive side of the ball he rounded out the year with 5 interceptions and 46 tackles. Notre Dame commit KJ Wallace played lockdown defense this year totaling just 2 interceptions and 6 pass break ups, as he was not tested a whole lot. The senior made use of his extra energy on the offensive side of the ball with 1100 all-purpose yards and 10 touchdowns. Logan Barnes was once again the leading tackler of any defensive back in 3-A with 115 on the year. He ended up with 72 solo tackles while also snagging 3 interceptions. Barnes is headed to Wofford in 2019. Nate Brookins came into 2018 season on a mission to lead the state in interceptions. He ended up falling short by 1 with 9 picks, but still led all of Class 3-A, which is still very good. The Westside-Macon senior plays multiple defensive back roles for his team, and finished the year off with 83 tackles. Andre Tarver from Ringgold had 90 tackles at safety. He also created 3 forced fumbles and 1 interception to go along with 3 sacks. Tarver was also an offensive weapon with 500 yards receiving, and 525 yards rushing with 6 total scores. Emanuel Lopez from Adairsville was consistent this year with a 37.6 yards average and a long of 55 yards. The class of 2021 punter had 9 punts kicked inside the 20, nearly doubling most of his competition. Charlie Harless is our specialist of the year with a state leading 48 yards per punt during the regular season. Harless is one of the best punters in Georgia with a consistent 4 second hang-time, and can flip the field giving his team excellent field position. North Murray’s Ladd McConkey had a stretch this year where he returned 4 touchdowns in 3 games. The slashing junior had two kicks and two punts returned back for a score, while also being a starter on offense and defense. Chalie Harless punter from Lakeview Fort Oglethorpe High School averaged over 45 yards per punt the last two years and was Preseason all State this year. Not putting Sheppard as a running back is mind blowing. Leading rusher in the state of GA. He should be at RB not AP. Almost 3000 yards in 11 games. Player of year hands down. I don’t think putting him at athlete should be a point of contention but maybe I’m wrong. I usually think of athlete as one of the best pure football players in the classification. How is it that Treylon RUSHED for all those yards and is only considered an Athlete and not a RB??? Treylon Sheppard, for his size, is by far the best running back in AAA classification! He played for a team with a one dimensional offense with everyone in the atadium knowing he would get the bal! Averaging an astounding 266+ yards a game is unbelievable! The amazing thing about Sheppard is that 90% of his carries was between tackles. People talk about his size but he is a hard noses runner. A incredible season. Need to watch out for DB out of Long County High School! Treyon Davis, class of 2020. Kid is a star waiting to breakout and should be on all preseason watchlists next season. Heard it here first. Why didn’t Jakeen Harris DB from Benedictine military school make the list. With the season Monroe Area had and not one defensive player and only one offensive player? How are these lists composed? Paul Weathington Jr at Westminster ( 2020) had over 1100 yards rushing and 200 yards receiving . Merits watching . Daniel Jackson from North Hall?????? Either tonight or tomorrow during the day. Treylon Sheppard deserves this award, I’ve played with him for 4 years and I guarantee that not one person has outworked him but looked up to him. I’ve had the privilege to block for him for 2 years and I’m one of his close friends. Treylon has beaten the odds and silenced the haters, a 5’8 running back that runs downhill and lowers his shoulders instead of showing away from contact that’s hard to find. The best player on Peach County team this year was by far and I do mean by far was #9 Cedric Hillsman De/LB. He was relentless. You might need to check out Max Prep on punting records. The punter/kicker at Monroe area had better punting stats than the Lopez kid with I believe a 41 yard avg and a long of 58 yards, and he did not have to punt that much this year, I believe only about 21 times. Plus the Lopez kid has 2 more years left, I think you should be looking at Seniors, if their numbers are close with one kid having more years of competition. TRELYON WINS OR I BAN PEOPLE FROM MINECRAFT CHRISTIAN SERVER…..! Chandler Byron had a fantastic year and is one of the best quarter back at MACH history. Treylon Sheppard is an awesome person on and off the field. He works hard. He is the best running back in the state. Hard to get him down. He has strong powerful legs. He will twist and turn and get 5 extra yards with people hanging on trying to get him down. Hands down he is my winner. A class act indeed. Proud to be a Rebel! Why has Treylon Sheppard not had any college offers with these stats and awards in one of the strongest HS football states in the country? Is this site not a reference for recruiters? Mind blowing hudl.com highlight reel.